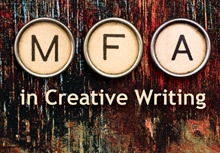 Creative Writing has never been more vital or successful at OSU than it is right now, with a nationally competitive pool of applicants in fiction, poetry, and creative non-fiction, full funding for all our students through GTA and GRA positions, with full tuition waiver, a vibrant Visiting Writers Series. Our graduate students come to us from top-ranked universities all over the country, competing for 6 seats in fiction, 4 in poetry, and 4 in nonfiction. All accepted students are fully funded through Graduate Teaching or Research Assistantships, tuition waivers, and stipends to defray half of student fees. We submit our top candidates for prestigious university-wide fellowships and scholarships. Our program has already begun to produce graduates with national publications, including Oregon Book Award-winning short story writer Scott Nadelson, essayist and poet Charles Goodrich, novelist and fly-fishing journalist John Larison, novelist Charity Shumway, and Jesse Donaldson. Nia Stephens, who graduated in 2005, has signed to publish a series of six novels for young adult African American readers.